A lot has happened in the past couple of months. The gym that I used to train out of was shut down, and in doing so left lots of athletes and kids without a place to train. A charity event was created to help raise money for our new club. 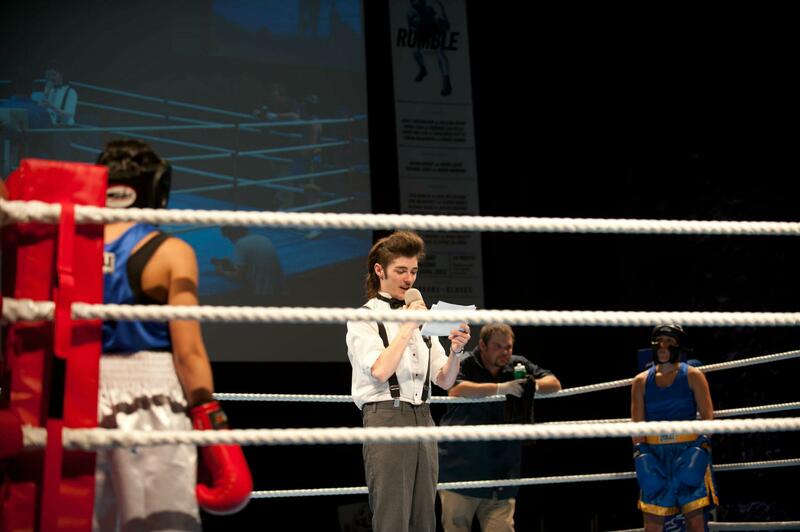 This was a service industry based charity, where anyone who works in the service industry was able to try out for the opportunity to train as a boxer to have a potential fight. Meanwhile raising a certain amount of funds to be eligible to compete on fight night. I helped with coaching on Friday mornings and after my training in the evenings when I could. It was great to see the contenders transform, loose weight and start to look and move like boxers. Contenders trained for over 3 months, and the public voted on who they wanted to see fight. One of the contenders whose opponent was unable to compete, was very committed to not only raising funds for the club, but to her training. Because of her dedication and drive to compete, my coach put her as a potential match up with myself. …and low and behold the public wanted to see it happen. We were the first bout of a scheduled 14, and the venue was absolutely incredible. It felt fantastic to dance under those lights, since my last fight was over a year ago. I boxed nicely and controlled the fight with fast, well-timed combinations. Now I can’t wait to get a real fight! The charity event was a huge success and in September our club will be finding a new location to start anew. I also plan on racking up those long needed fights.